The central government is investing heavily overseas and touting itself as a benign benefactor. But in 20 years it has alienated many Hong Kongers. The bad PR is a blot on China’s image. It suggests Beijing has a lot to learn about winning friends and influencing people. The city’s fortunes have become ever more entangled with China’s. Breakingviews shows through graphics how the turbulent relationship has shaped the economy and markets, whilst stoking property prices and political tensions. The fragrant harbour has long been China’s gateway to the world in trade, finance, and much else. Two decades after the handover, some traditional middleman roles are waning. Reinvigorating the economy means playing to existing strengths - and fixing some glaring problems. Twenty years of Chinese listings have turned the ex-colony into a $3.7 trln market and a top IPO venue. But valuations are low. And while it has first-world regulations, it cannot effectively police rogue mainland firms. 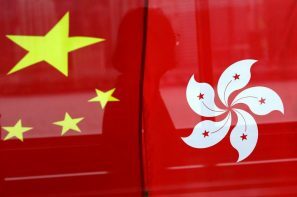 To clean up its act, Hong Kong will need more Chinese help. China’s promise to uphold “one country, two systems” does not expire for three decades. Yet property owners and citizens have little idea of what comes next. Drastic changes to the legal system are unlikely. Still, there is ample room for a crisis of confidence long before 2047. The city's real estate bubble, buoyed by low rates, limited supply and mainland money, is stoking social unrest. House prices are out of reach for most; rents are punitive. Like prior leaders, Carrie Lam promises more affordable housing. It's better policy that's in short supply. The territory is trying yet again to cool a red-hot real estate market. New curbs will make home loans less profitable for banks and increase down payments for borrowers. An acute land shortage and Chinese buyers' desire to diversify away from the yuan will limit the impact. China could prop up shares before a set-piece presidential visit, a media report says. This is further evidence of Beijing's tightening grip on the city and its belief that market prices are a tool to signal good news. Exporting that attitude will dent Hong Kong's appeal. Unloved new leader Carrie Lam faces a steep climb. Growth is slow; social divides are deep. Loosening the purse strings might win a few hearts. Her real test will be preserving the rule of law, but she's unlikely to stand up to the pro-Beijing faction she owes her job to. Hong Kong is plagued by puzzling share gyrations. On Friday a $5 bln stock crashed 90 pct in minutes. HKEX boss Charles Li reportedly says his market is no casino, even if a few "gangsters" lurk in dark corners. Such complacency will do nothing to reassure investors. Tourist arrivals from mainland China rose 3.6 pct over the New Year, and Chinese consumer spending is accelerating. If only that were enough for luxury companies who have hung their hat on the city's unique charms. Luxury isn't quite passé, but buyers have moved further afield.